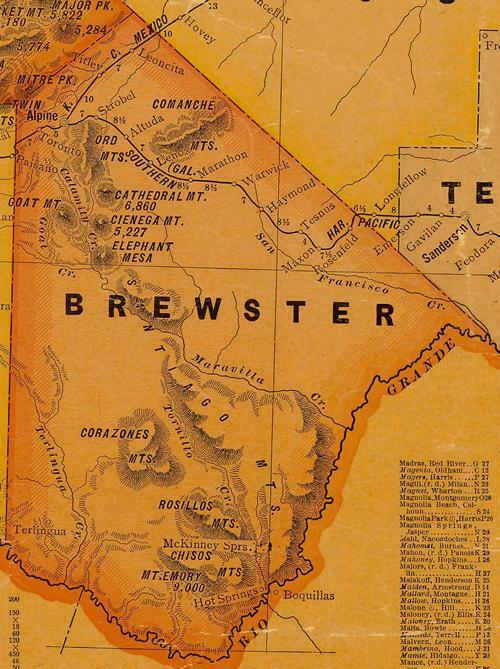 Study (rhymes with duty) Butte (rhymes with fruit) has about the same history as Terlingua (rhymes with nothing). Both were economically tied to the mining of mercury and both experienced the same booms and busts. One of the differences the towns have is that Study Butte was named after Will Study and Terlingua wasn't. If you're planning on visiting the area, you're bound to see them both. Study Butte has a big arroyo running through it and fewer no trespassing signs. Terlingua has the picturesque cemetery.